the Great Dark Spot and its companion bright smudge; on the west limb the fast moving bright feature called "Scooter"
and the little dark spot are visible. These clouds were seen to persist for as long as Voyager's cameras could resolve them. technologically advanced spacecraft and, more importantly, a new cast of characters. 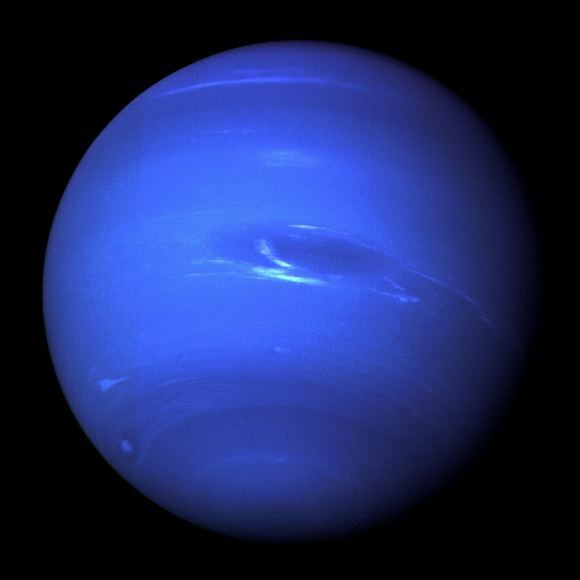 and has captured remarkably sharp test images of the planet Neptune, star clusters and other objects. can now use this new technique to correct for turbulence at different altitudes in the atmosphere. 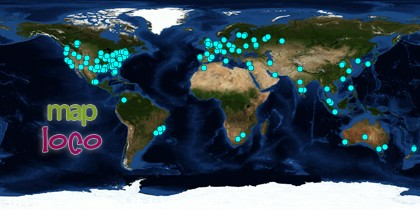 This ESOcast gives a taste of these remarkable results. 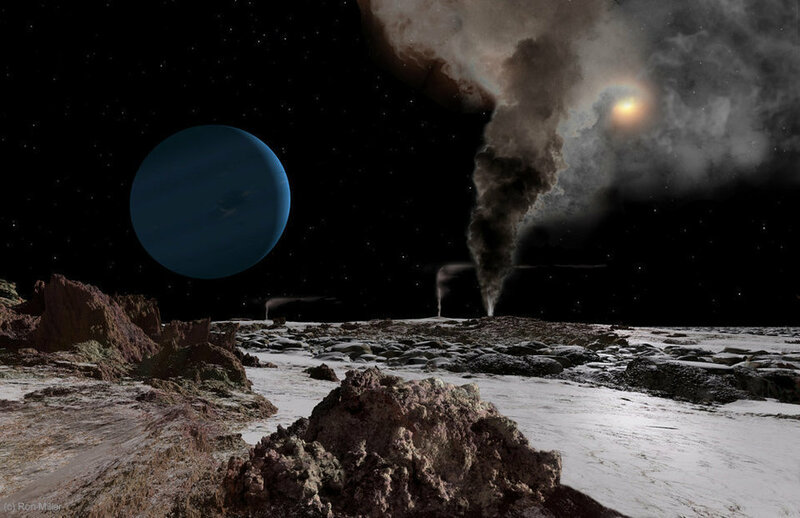 astronomy news and images in ESO press releases. Written by: Stephen Molyneux and Richard Hook. Footage and photos: ESO, R. Bacon, P. Weilbacher (AIP), C. Malin (christophmalin.com), L. Calçada and MUSE consortium. 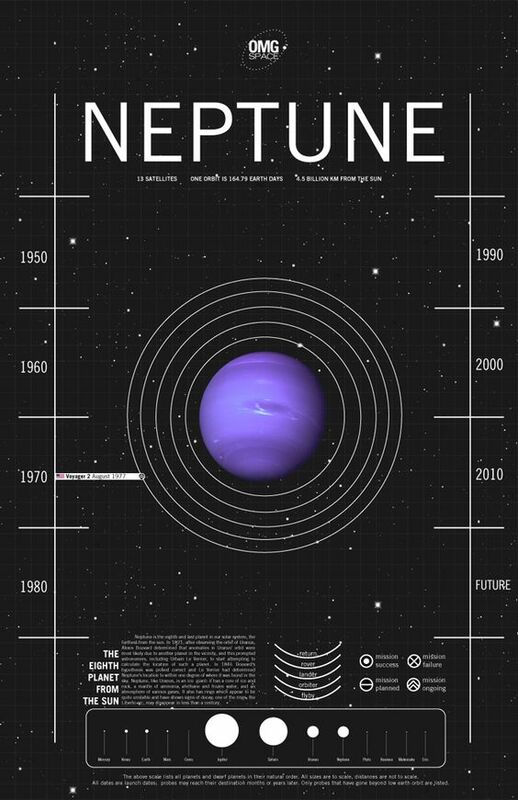 Although new missions to Neptune have been proposed, none are likely to arrive for many decades. So for now, the only way to better understand how the planet works is through computer simulations. 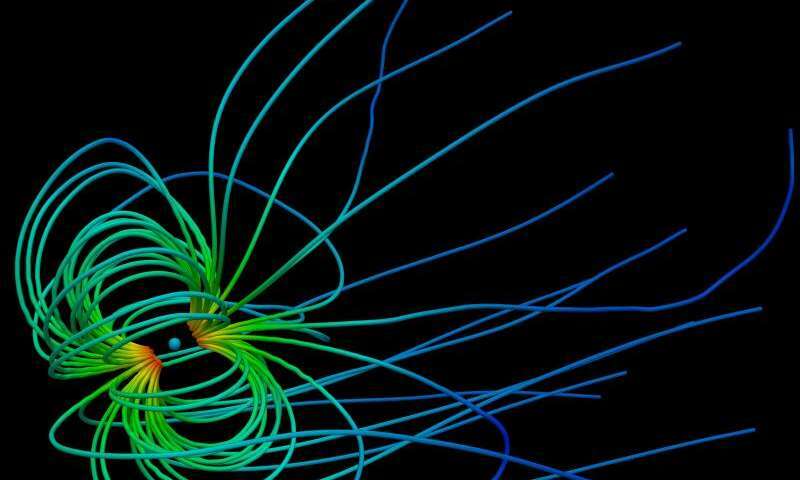 physics group and the plasma physics group have been working together to address this challenge. 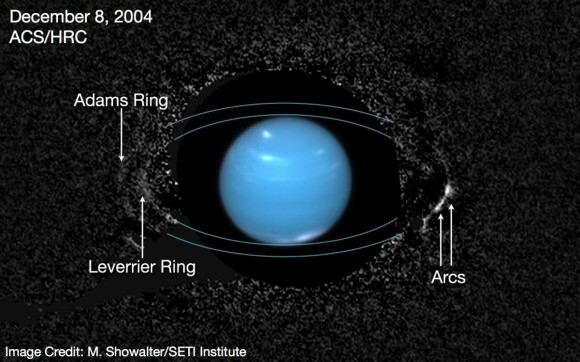 designated S/2004 N 1. Credit: NASA, ESA, and M. Showalter (SETI Institute). 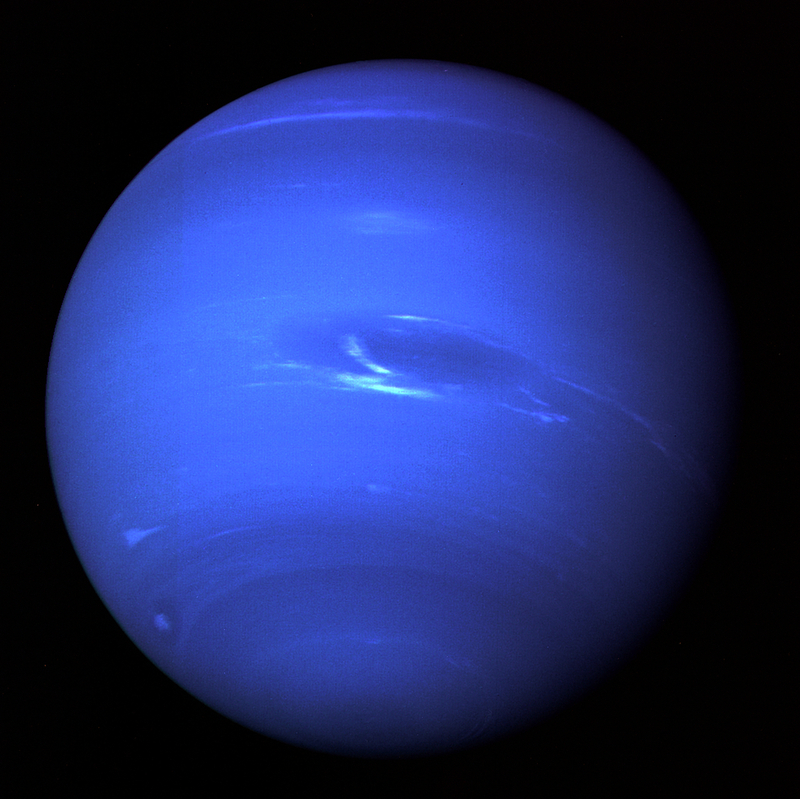 The labeled ring arcs of Neptune as seen in newly processed data. 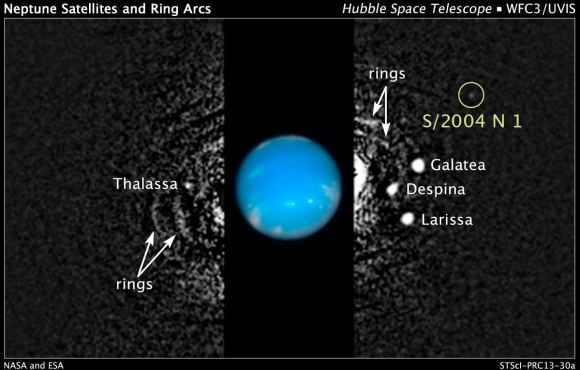 and the ring trace and an image of the occulted planet Neptune is added for reference. 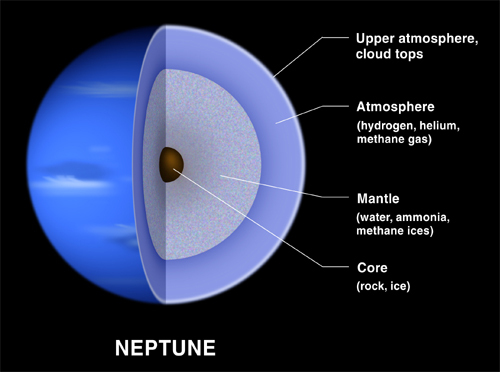 The interior structure of Neptune. away from the planet. 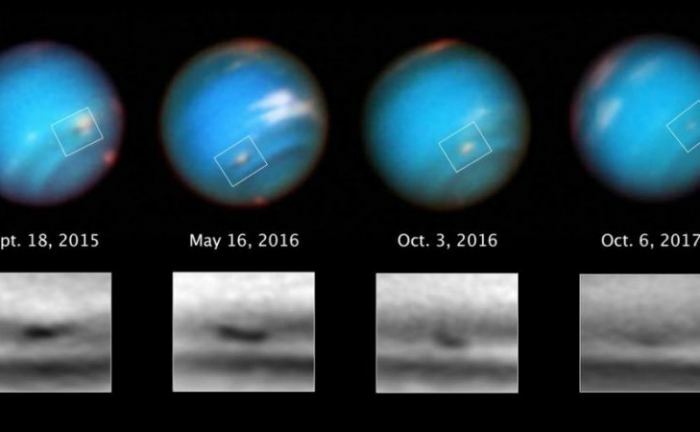 The Great Dark Spot in the middle of the image was the first storm ever seen on Neptune. 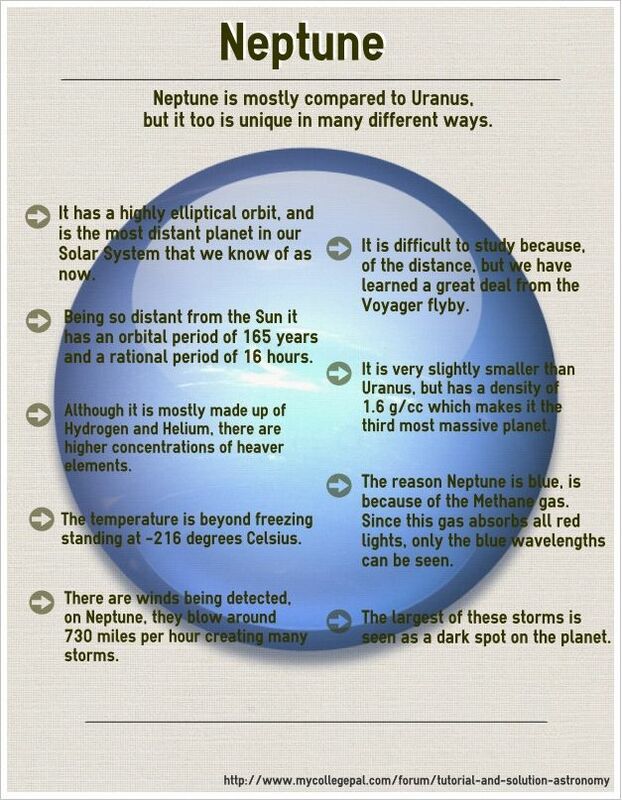 in formations such as Neptune's dark storms. 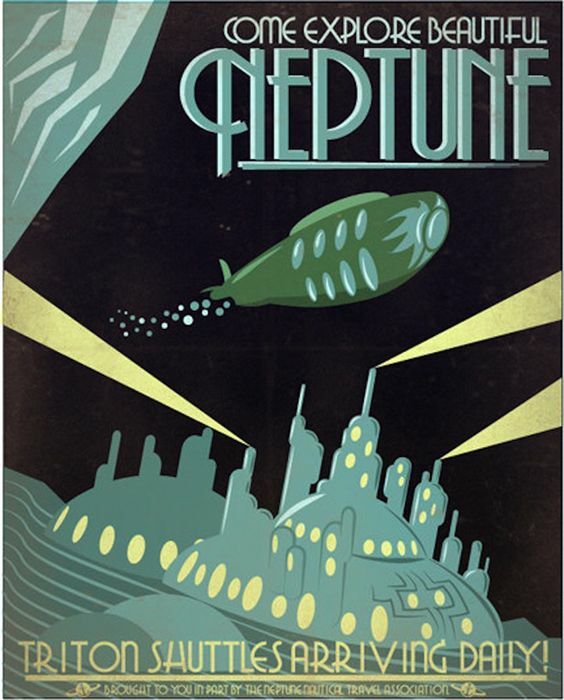 Could we live on Triton? 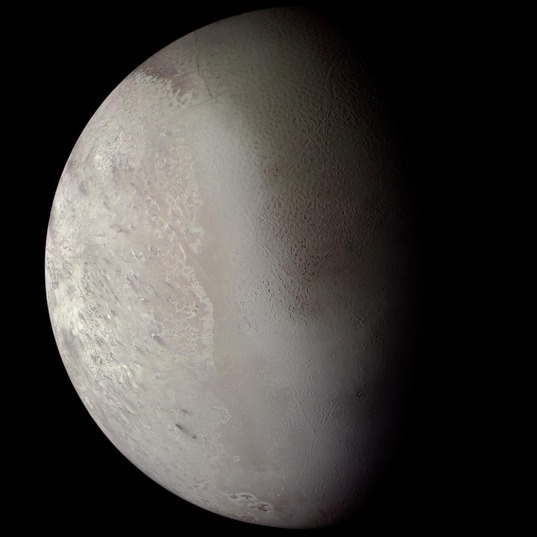 Welcome to Triton, one of Neptune’s moons, super-chilled and covered in frozen nitrogen snow. It would be big enough for us to live on, the question is, could we? 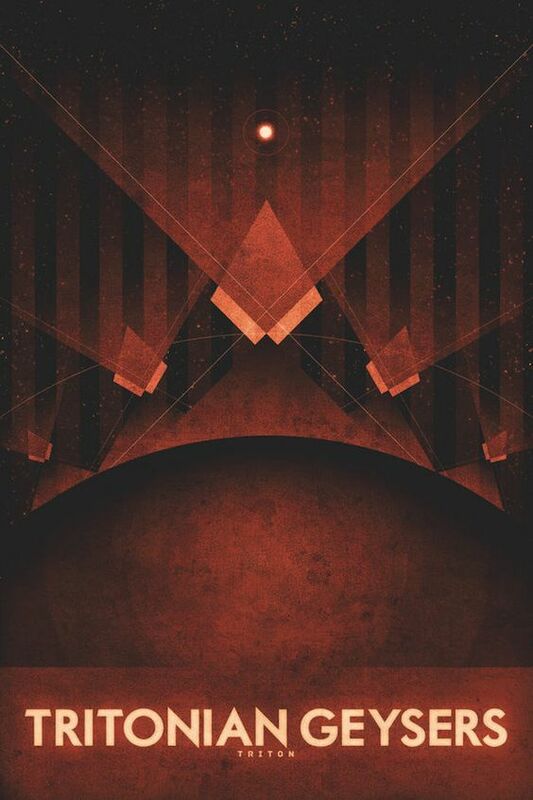 to be discovered, by English astronomer William Lassell in 1846.
in the opposite direction to its planet's rotation. Clip taken from the Naked Science documentary “Deadliest Planets”. 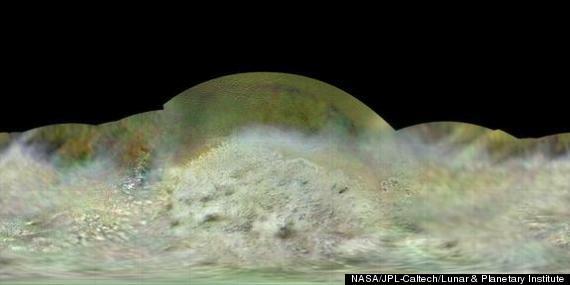 scientists have put together a new map of the icy moon�s surface using the old data. 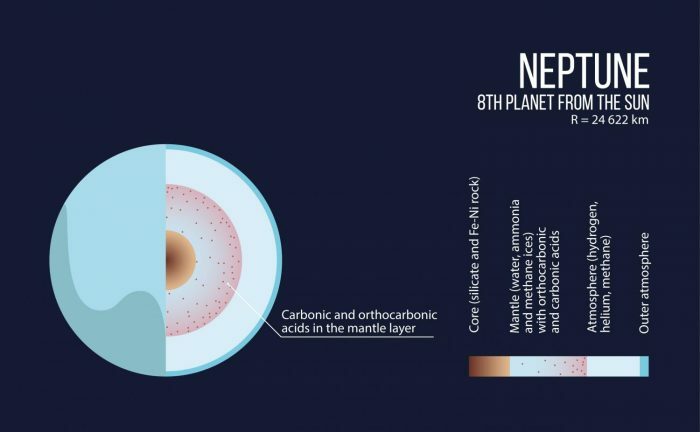 getting to the dwarf planet in less than a year. 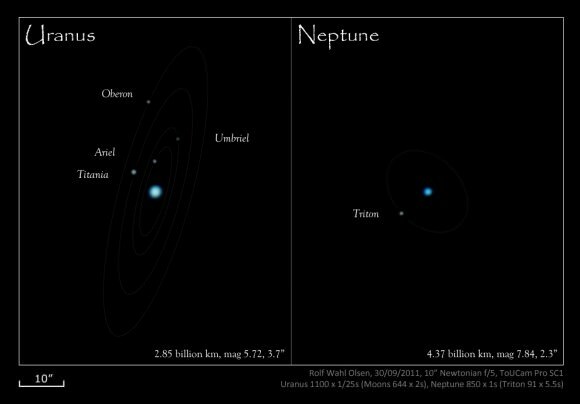 And it�s quite possible that Pluto and Triton will look similar. 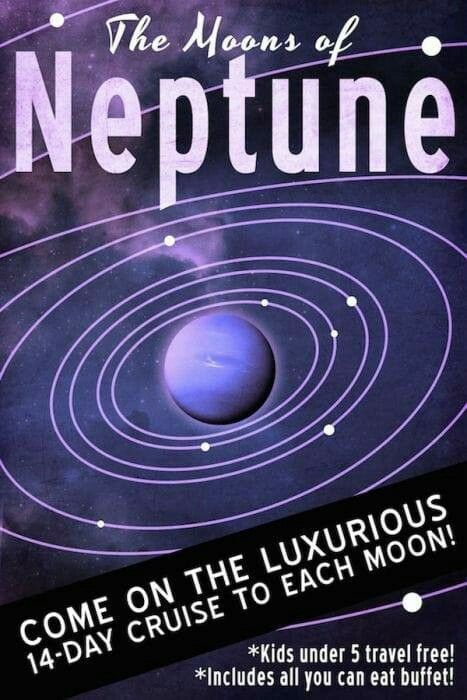 which flew by Neptune and its big moon Triton on Aug. 25, 1989, to create this best-ever global color map of the moon. 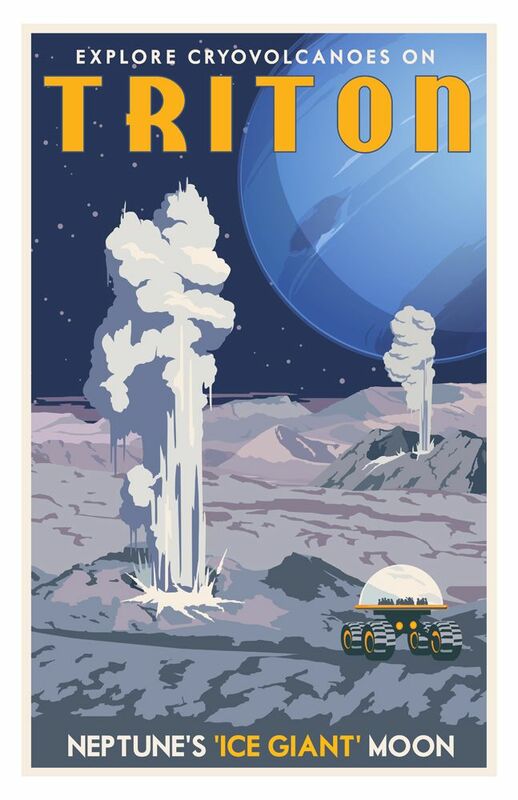 "In the intervening quarter century and its many discoveries, I think we have tended to forget how strange and exotic Triton really is!" Schenk wrote in a blog post Thursday (Aug. 21, 2014). 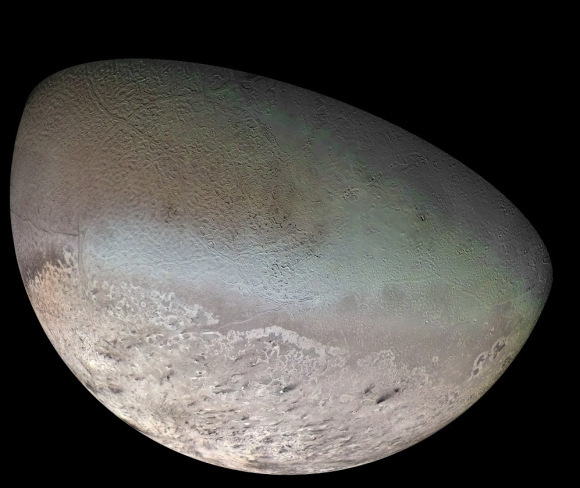 Voyager 2 acquired the images for this high-resolution mosaic of Triton on August 25, 1989. 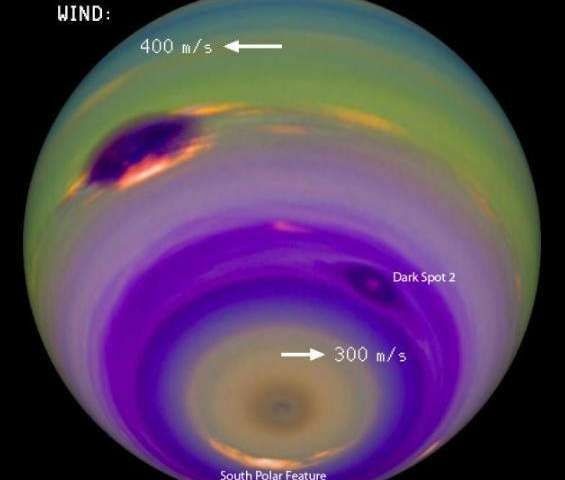 The south pole is at the left; several of Triton's famous south polar geysers are visible. Toward the equator at right, Triton is covered with a strange "cantaloupe terrain". a scientist at the Lunar and Planetary Institute in Houston, used Voyager data to construct this video recreating that exciting encounter. 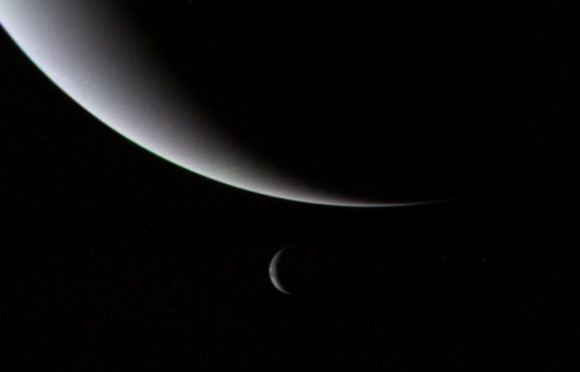 In the summer of 1989 Earthlings got their first view of Neptune and its formidable moon Triton. Fast forward 25 years and scientists are working on technologies to not only visit this icy moon but ‘hop' around on its surface too. NASA 360 joins Geoffrey A. Landis and Steven Oleson, both of NASA Glenn Research Center, as they discuss their concept for a hopper vehicle to explore Triton. This video represents a research study within the NASA Innovative Advanced Concepts (NIAC) program. for possible future space missions. However, such early stage technology development may never become actual NASA missions. 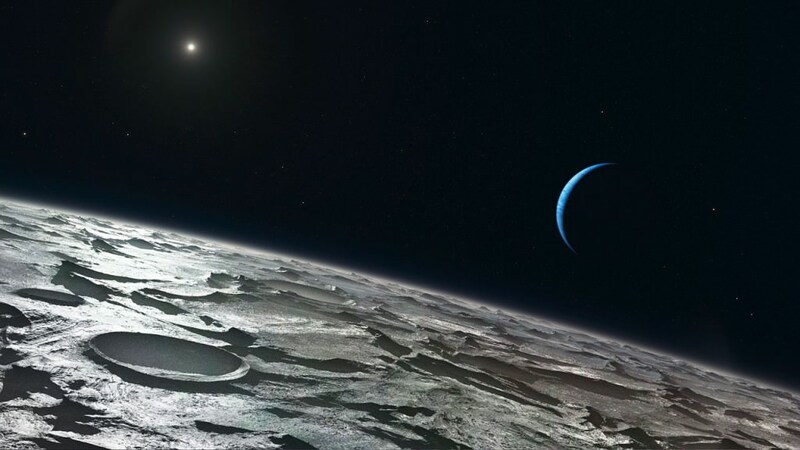 Artist's impression of what the surface of Triton may look like. 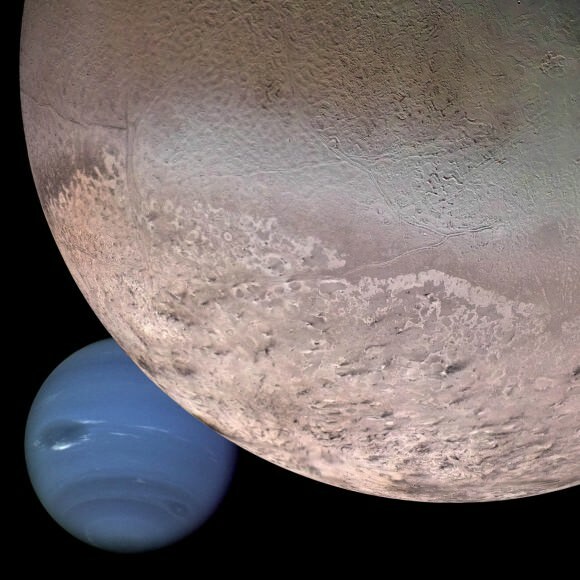 Neptune and its large moon Triton as seen by Voyager 2 on August 28th, 1989.
sublimating south polar cap (bottom) and enigmatic “cantaloupe terrain”. 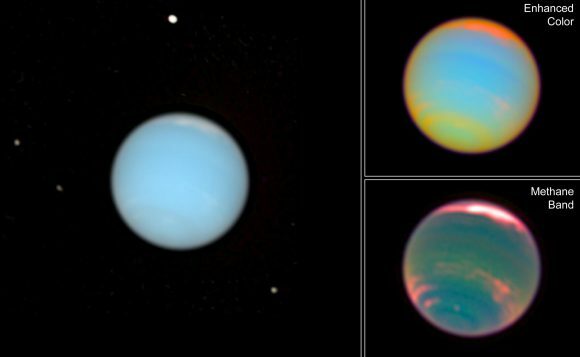 The moons of Uranus and Neptune as imaged during the 2011 opposition season.